When going out for a stroll on a lovely summer day or for any number of occasions when you don’t want to be weighted down with the stuff you usually carry in your big chunky bag, you need a small purse, preferably with a shoulder strap that can hold only the bare essentials; phone, keys, wallet and maybe a lipstick. 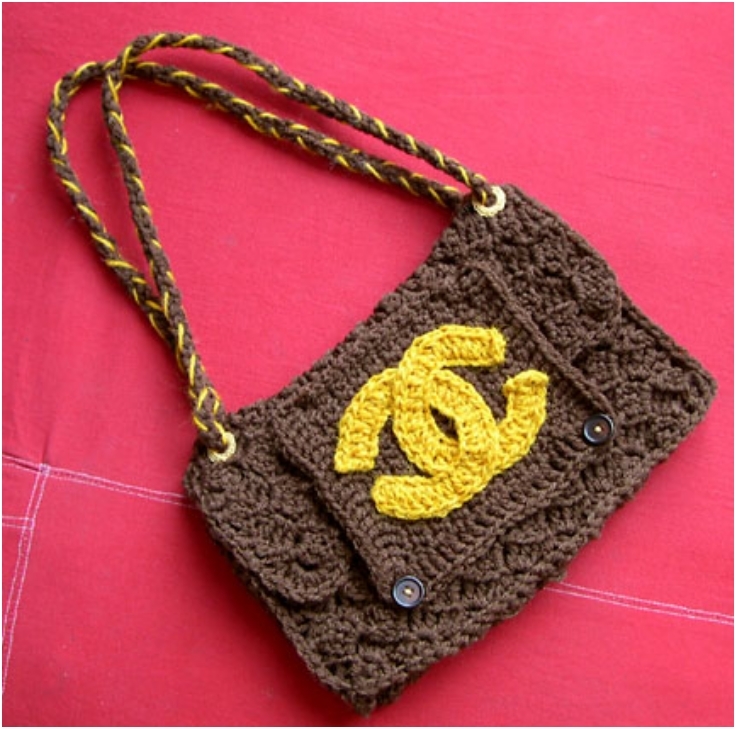 Crocheted or knitted purses are very fashionable, fun and elegant, but can cost a lot and can be difficult to find a pattern that you like. Instead of wasting hours in the mall searching for your perfect summer purse, just pick up your favorite yarn and look here. You will certainly find a pattern after your own heart in our list of top 10 knitted or crocheted summer purses. This tiny purse is excellent for those who love to travel light. Big enough for your phone and your wallet, it will save you from rummaging through a big bag and the pattern of solid granny squares is just too good to miss. A niffty little purse suitable for all ages. You can use it when going for a walk or at a party. It has an interesting shape which makes it more specious without making it bulky and the small strap allow you to carry it in your hand or over your shoulder. 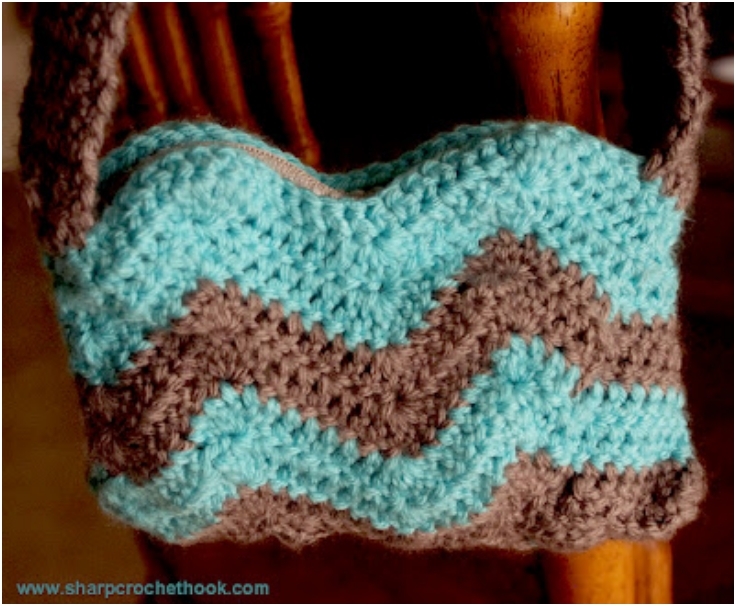 Here is a purse for those who love the chevron pattern. 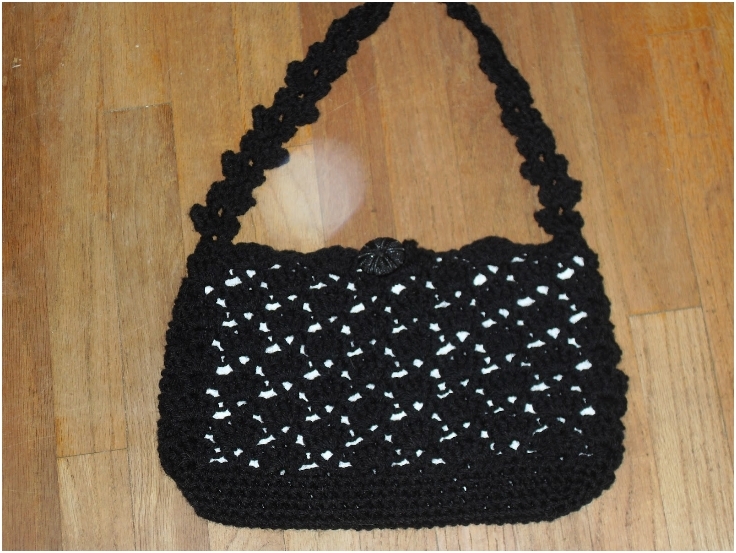 Unlike many crocheted purses that are closed with strings, flaps or buttons, this one has a zipper. Also, you can play with the colors and make this an ombre purse by using different shade for each section. For everyone who is always pressed for time or who has problems making up their minds, here is a playful two faced crochet bag, with a “fun-tastic” seaside pattern on one side an a checkered one on the other. Here is the best old-fashioned mini purse, perfect for more formal occasions and since prom season is near, it will make a perfect gift for high-school graduates. 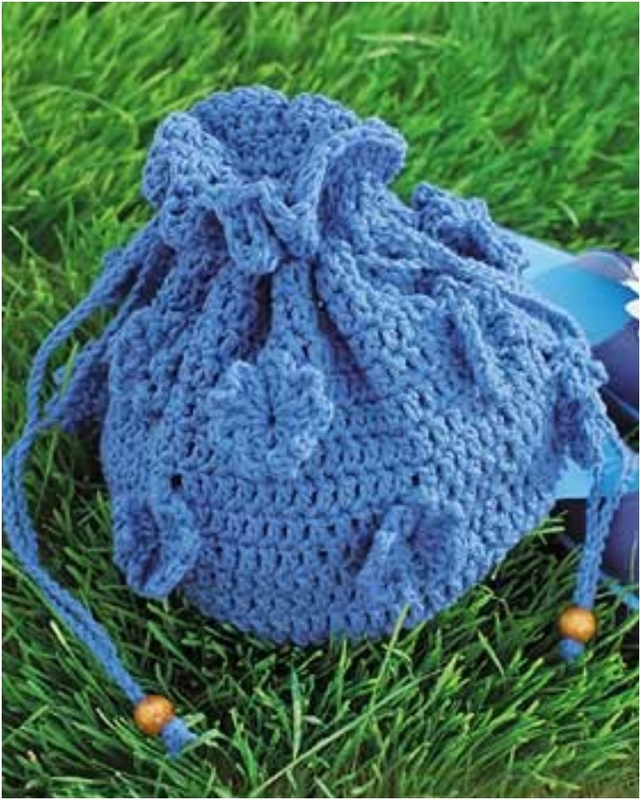 A classic drawstring pouch that can be worn on the wrist and with sweet summer flower decorations. 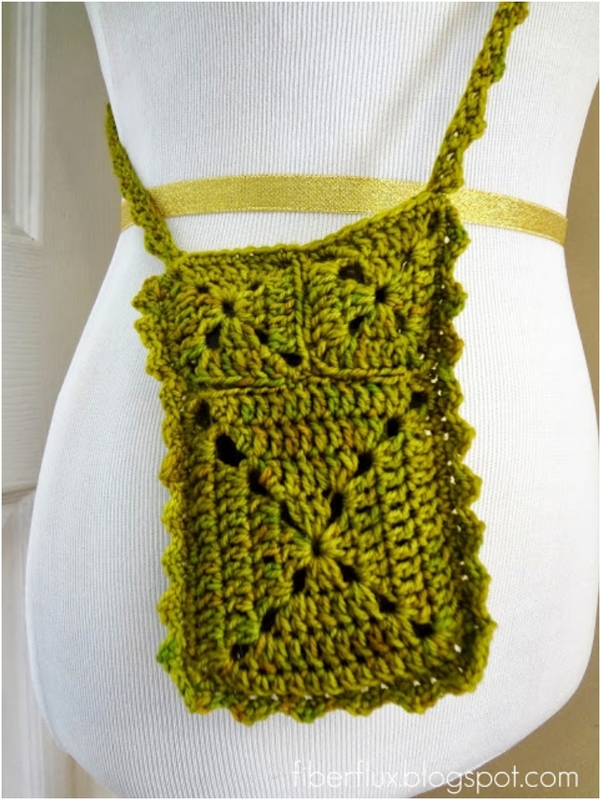 Here is an elegant crocheted purse, that is very easy to make and with it’s almost lacy look it is perfect for a more formal occasions or gatherings, but also for holding your valuables when on a night out partying. Even if you’re not into designer bags, you must have wanted to own one at least one. Here you can find patterns on ho you can make your very own knock-off designer bags and it won’t i cost you hundreds of dollars. The simple pattern of light brown and white stripes and the gentle touch of peach flowers will make you think of lazy days at the mild summer nights. It is hard not to like this purse and its obvious softness. 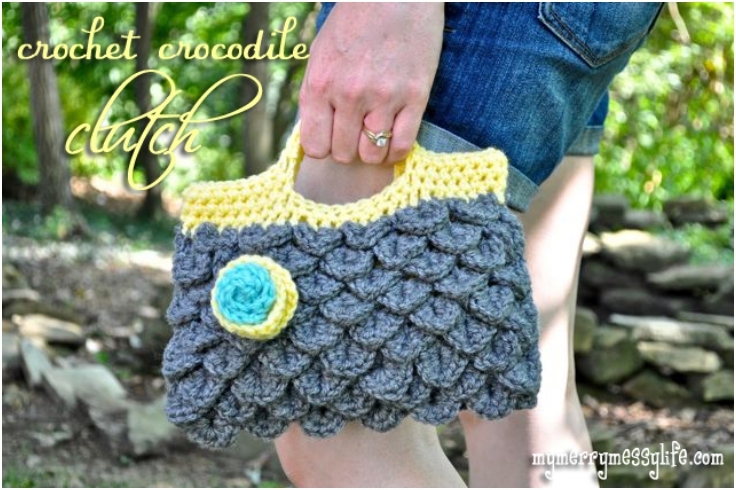 If you like the pattern of a reptile skin, you will absolutely love this crocodile stitch purse. 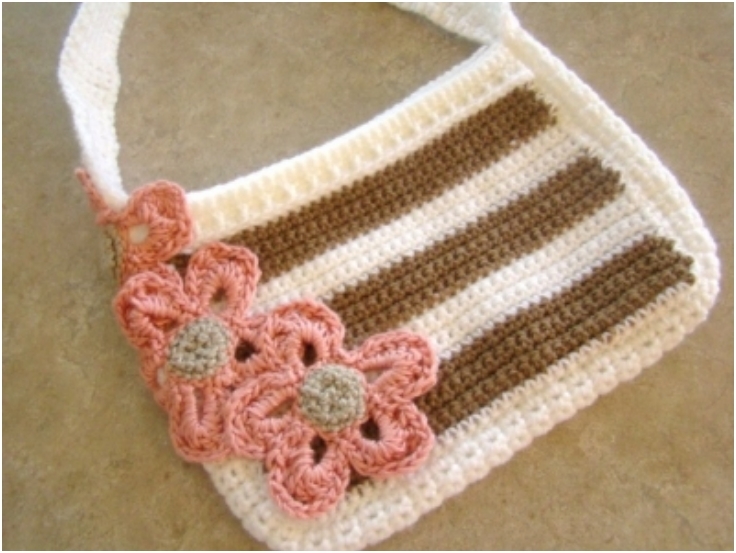 Crocheting this purse may be a challenge for the less experienced, but the effort, as you will see, is well worth it. You might have seen bags with long fringes hanging from them and you might have tough them cute or fancy, but their price tag kept you from buying one of them. 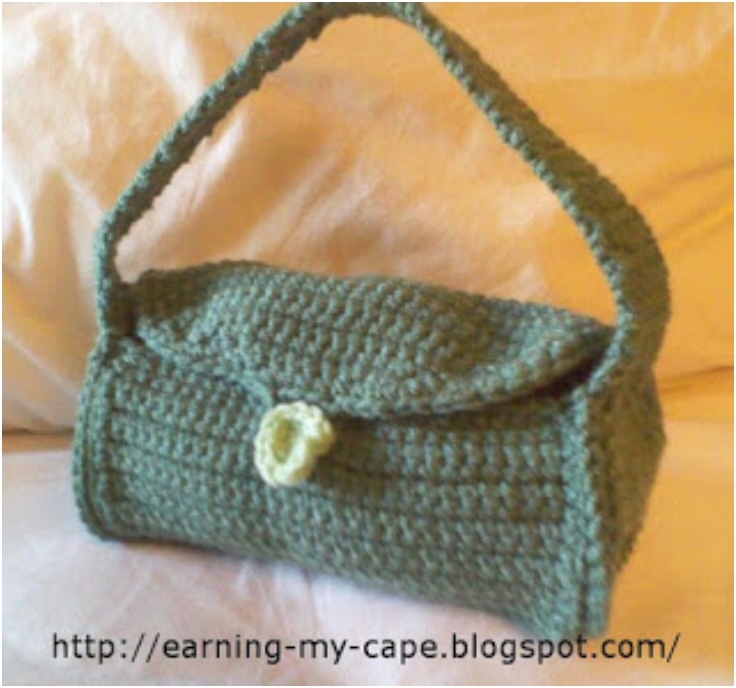 Now you will have the chance to learn how to make one fabulously stylish crocheted purse that everyone will love to have. 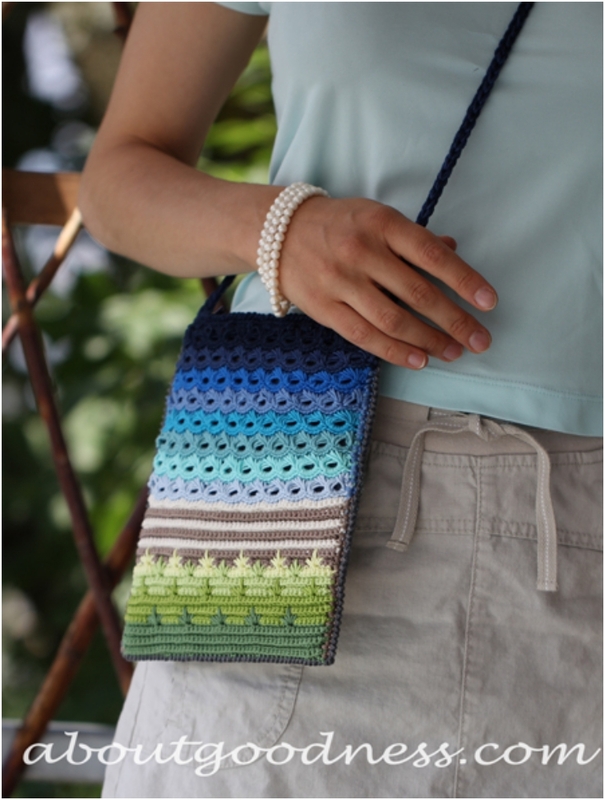 I would love to have the pattern for the Two Faced Crocheted Purse. Ive not been able to track it down. I does look like it was published in a magazine. If so that might be helpful. Thanks for any help you might have.